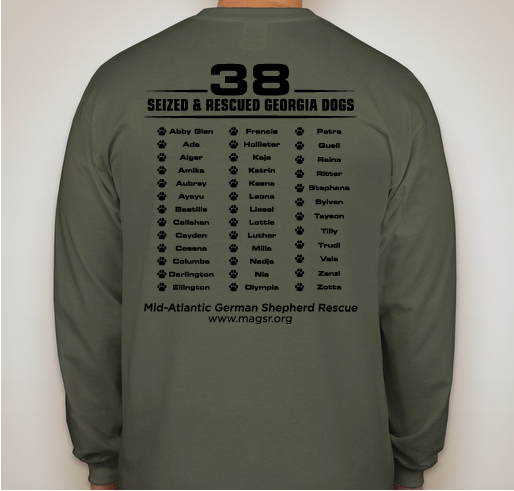 MAGSR - Rescuing and Changing Lives! 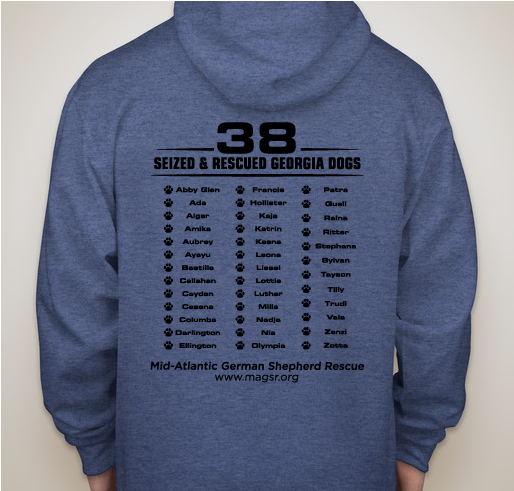 Help rescued German Shepherds recover from a terrible hoarding situation! 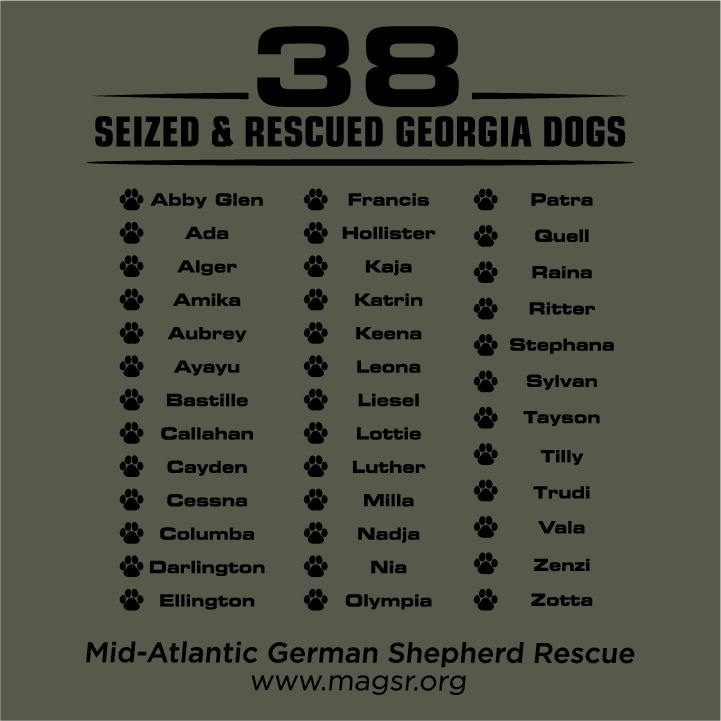 All funds raised will go directly to MID-ATLANTIC GERMAN SHEPHERD RESCUE INC .
Mid-Atlantic German Shepherd Rescue (MAGSR) took in 38 German Shepherds as a result of a horrific breeding/hoarding case. 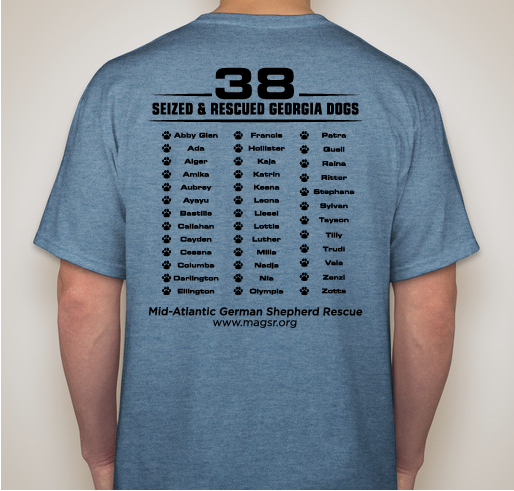 These were just some of the several hundred Shepherds found on the same property where they endured tremendous neglect and abuse. 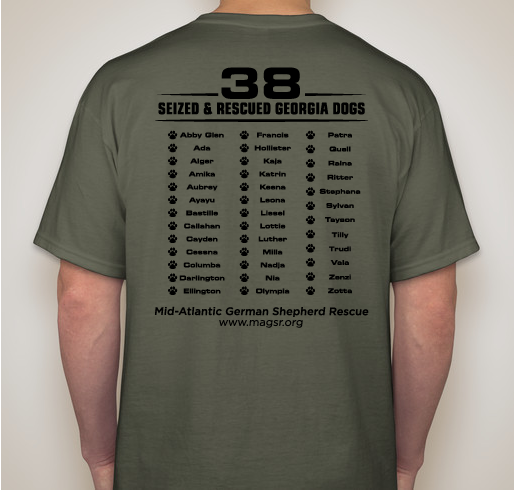 This shirt not only commemorates these amazing dogs but also helps to raise funding for the immense financial undertaking to which MAGSR has committed. 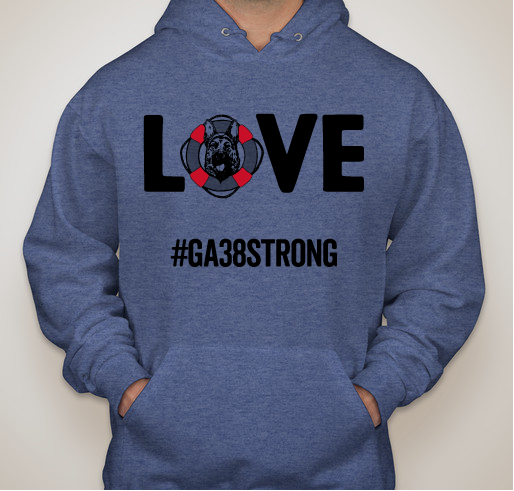 MAGSR would like to thank all of our supporters both near and far. 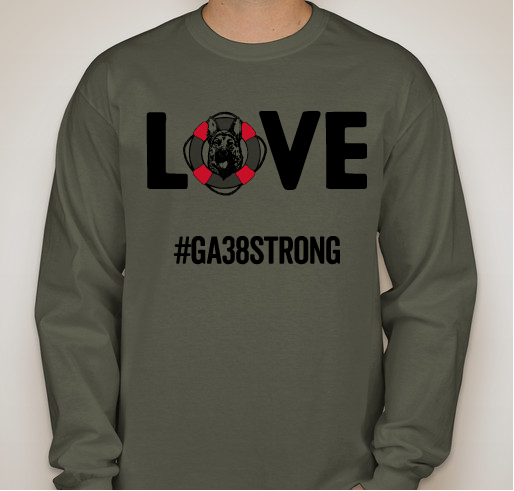 We encourage you to send a photo of yourself proudly wearing your GA38STRONG shirt and tell us where you are from! 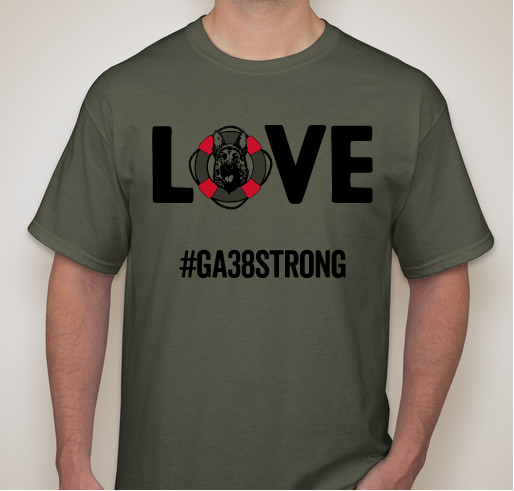 We adopted Ellington and would love to support this cause as much as we can! 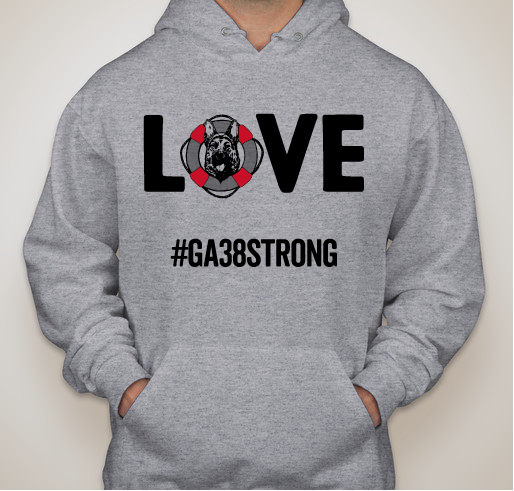 Being part of the Georgia38 journey is something I will always cherish. There is something I adore about each of these dogs...especially my girl, Patra! 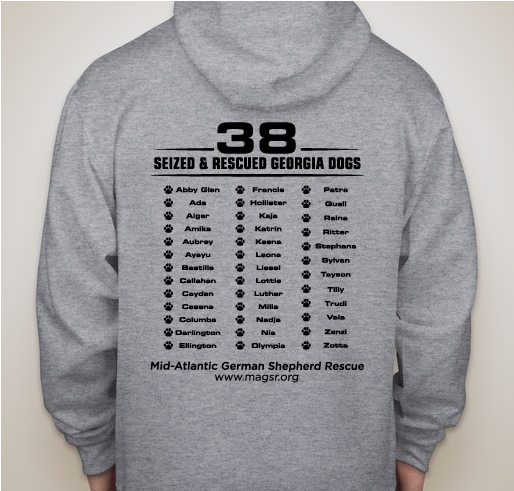 Have adopted 3 MAGSR dogs and want to help all the dogs we can. 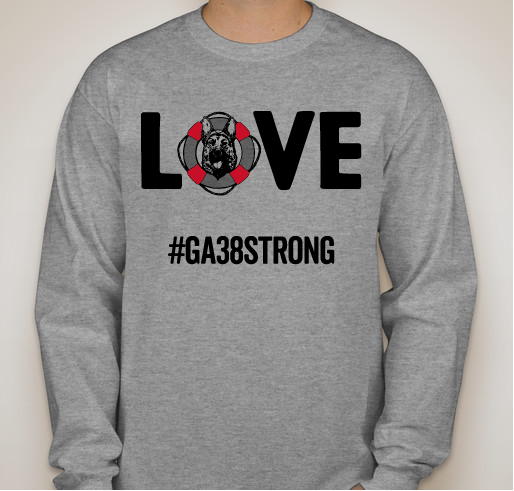 ...For the LOVE of Dogs! 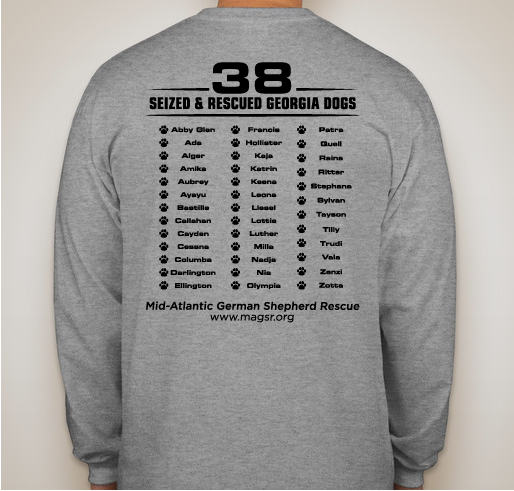 MAGSR is an outstanding organization that truly cares about the dogs they rescue. We have adopted three wonderful dogs from them. 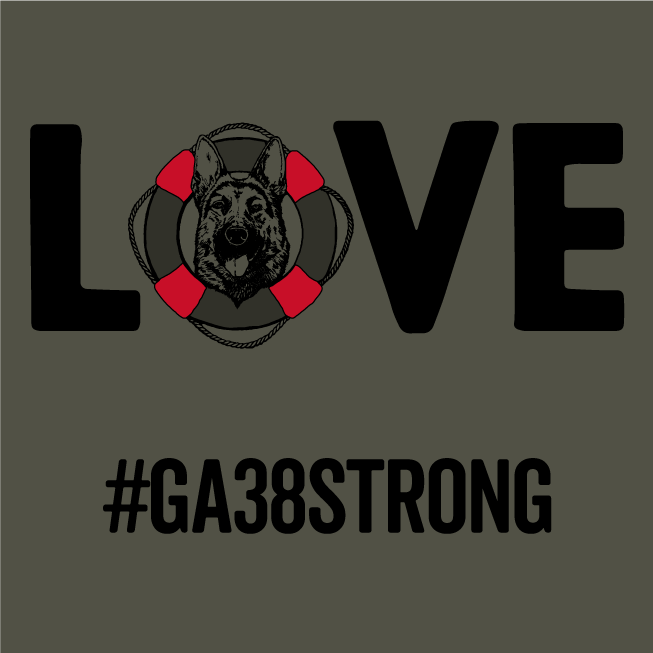 I had a German Shepherd growing up and she was the best dog and hope to have one in the future from this organization who loves and cares for this breed as much as I do. 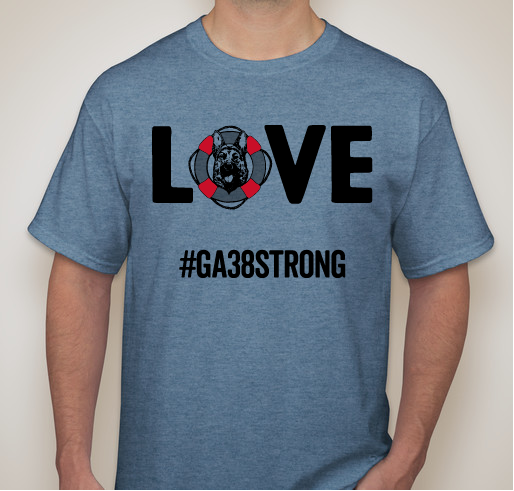 Share Why You Support "MAGSR - Rescuing and Changing Lives!"